One of the best things about games like Vampyr are the stories that are associated with the characters. 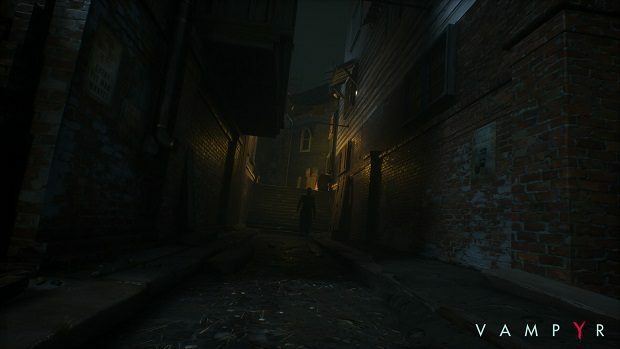 The lore is perhaps one of the main reasons for some vampire aficionados to play the game and thus you will need to find it using help from this Vampyr Documents Locations Guide. 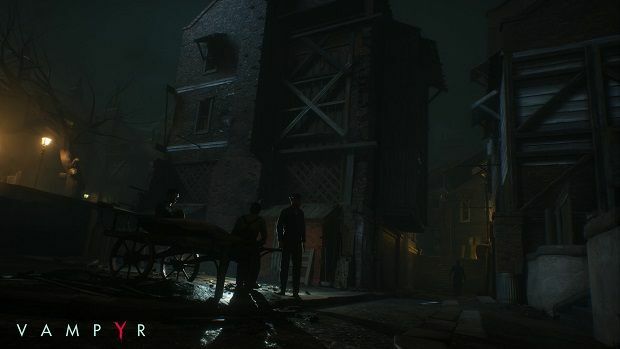 Our Vampyr Documents Locations Guide will tell you the locations of all 30 of the Lore Documents so that you do not have to tirelessly search for them when playing the game. There are a total of 30 different places where the Lore Documents are found. All of the Lore Documents are available with 2 others, meaning that there are a total of 90 Documents for you to find. We will go through each of them in a chronological order so that you can easily locate them. Finding all of these Lore Documents will make you a holder of the Lore Keeper Achievement/Trophy. Lore Documents are the main Lore Documents that you will find in the game and you will probably not have to deviate too far from the Main Story to find them. Also, be sure to check out our Choices and Consequences Guide and Weapons Locations Guide. The first Lore Document is found in the Prologue in the opposite corner of the room where you find shelter. The second warehouse will have a corpse that contains a Lore Document. Look at the room Thomas Elwood is in; the Lore Document is on one of the desks. Dr. Edgar Swansea’s office on the 2nd floor of the hospital will contain one of the Lore Documents. Another Lore Document will be found on a corpse in the sewer section near the hospital. Another Lore Document can be found in the Safehouse near the Dispensary. Go to the Whitechapel Safehouse and enter the room with the ‘Keep Out’ sign. Here, kill both of the enemies and get the Lore Document. The house with Harry Peterson inside it has a Lore Document on the 2nd floor. The room that has Harriet in the Mine Area has a Lore Document. The Night Asylum has a Lore Document on the boxes outside of its wooden fence. Head to the gate that leads to the North Docks region to find the boxes. The house of Kimura Tadaos in West End will have a Lore Document after you beat a high-level enemy. Another Lore Document can be found on the right-side room of the first floor of Ascalon Club Building. The basement also has a Lore Document and you can get its key from the 2nd floor. Once you have visited Ascalon, you can head east to the Lost Library and find a Lore Document in the drawer of the 2nd floor. A corpse behind the Whitechapel Theatre will also have a Lore Document. Defeating boss Leon Augustin will get you the first Lore Document of the chapter. Find a Lore Document where you find the citizen that goes by the name ‘Usher’ right after you exit the sewers after the previous fight. The basement of the theatre will have another Lore Document for you by your second visit. Kill a beast in the Foundry Buildings in Southwark to get a key and use it on the 2nd floor of the second building to get a Lore Document. Mason’s house to the West of the Graveyard has another Lore Document. Complete a side mission for Usher and do not read his journal in the safe for another Lore Document. Find a Lore Document on a corpse inside of the sewers. Look for it next to the hideout that is far east near the Graveyard. A Lore Document is found at the Martin Nightingale NPC in the Shelter of the Docks. You need to purchase it. Look for a Lore Document in the hideout directly south of the hospital. You can get the key from Mortimer at the Hospital since it is his house. Move left to the blue circle left of the letter ‘H’ of the Hospital on the map to find a Lore Document on the hideout. A Lore Document is found in a straw box when going to Harriet in the sewers. The final Lore Document is found in a Guard Outpost of the Priven in Whitechapel. Do a side-quest for Thelma to get here. Thelma can be found in the hospital. That is all we have for our Vampyr Documents Locations Guide. Let us know if we missed something using the comments section below!